This month we’re answering the most googled questions about pasta … Ready? Does is matter how much water I use to boil pasta? The amount of water you use does make a difference. We’d suggest a litre of water per 100g to allow the pasta enough room to cook without sticking together. 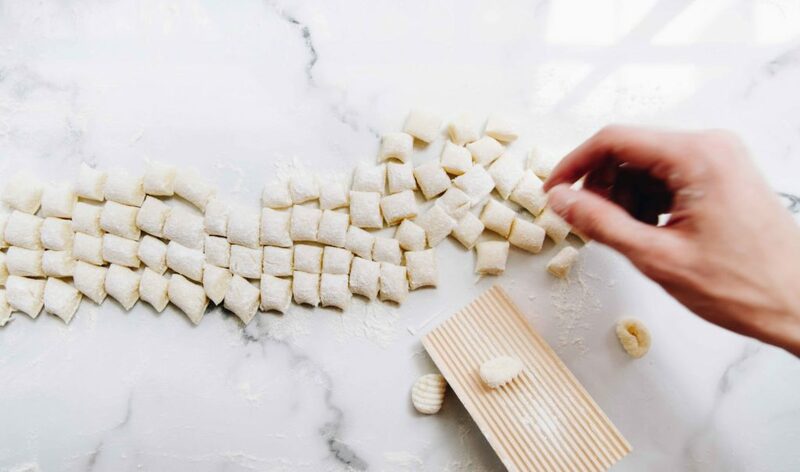 Pasta also releases starch when boiling so if the quantity of water is too low the starch gets reabsorbed by the pasta and creates a sticky texture. Should I add salt to boiling water? Salt enhances the ability of the tongue to detect flavour so adding salt to water allows the pasta to absorb it whilst cooking and therefore enhances the overall flavour of the dish! We’d recommend 10g of coarse sea salt per litre of water. Chef tip: Save a cup of cooking water to loosen up the sauce later. Water will start to evaporate when your dish begins to cool. Adding some cooking water will help keep it silky and prevent it from drying out. How much pasta to make per person? For a starter portion we’d say around 90g of fresh pasta per person. 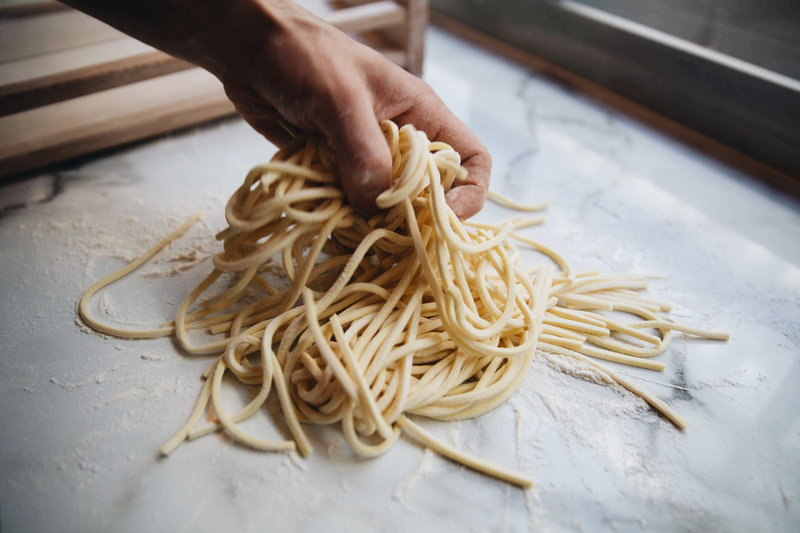 For main dishes allow 100-110g fresh pasta per person but of course this depends on the pasta shape, quality, how hungry you are and what else you are serving with it! What does ‘al dente’ mean? It literally means “to the tooth” and refers to the ideal consistency of pasta which is tested literally by biting and using your teeth to check that your pasta has a bit of a “bite”, and not soft all the way through. The firmer the pasta is the longer the digestion time (lower GI). Slower digestion means a lower spike in blood sugars and overall healthier for us. If you over cook pasta it can become slightly indigestible which is what gives you a feeling of heaviness in your stomach. How long will fresh pasta last for in the fridge? Approximately 1 to 2 days in the fridge. Any longer and it’ll become chewy. Make sure it is well floured. Can you freeze fresh pasta? Fresh pasta can be frozen for future meals for 2 to 3 months. Just pop into the freezer uncovered for about 15 minutes and then transfer to a freezer-bag ready to be used as and when you fancy. How can I dry fresh pasta? Very simply. Just spread the pasta out onto a single layer on top of a baking parchment sheet and leave a day or two in a dry area. Alternatively, you can lay the longer strips of pasta, such as spaghetti, over the back of a chair that is covered with a j-cloth. This lets the pasta dry in straight long strips rather than curling during the drying process. If there’s anything we’ve missed, feel free to send us a message on instagram @Bancone.Pasta and we’ll happily respond!